Spirocerca lupi infection in a dog from southern Italy: an “old fashioned” disease? Canine spirocercosis caused by Spirocerca lupi is a life-threatening helminthic disease featured by severe clinical signs and potential development of oesophageal neoplasia. This infection is considered fairly frequent in Europe but almost unknown in Italy, from where only few reports have been published in local journals at the beginning of the XXI century. In the present study, an autochthonous case of canine spirocercosis in a 2-year-old dog from southern Italy is described. The animal was admitted to a private veterinary clinic in the municipality of Potenza (Basilicata region) due to persistent dyspnoea, vomiting, and regurgitation. At the abdominal ultrasound, a mass (1.3 × 2 cm) was observed and, thereafter, surgically removed from the apical part of the stomach. 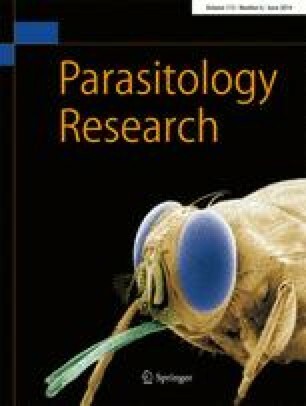 A female specimen of S. lupi was morphologically identified during the histological examination of the nodule and its eggs were detected in the faeces. In addition, the morphological identification was confirmed by molecular amplification and sequencing of partial cox2 gene sequence of S. lupi. Veterinarians should be aware of the potential risks derived from infection with this spirurid, which requires specific diagnostic and preventive measures.